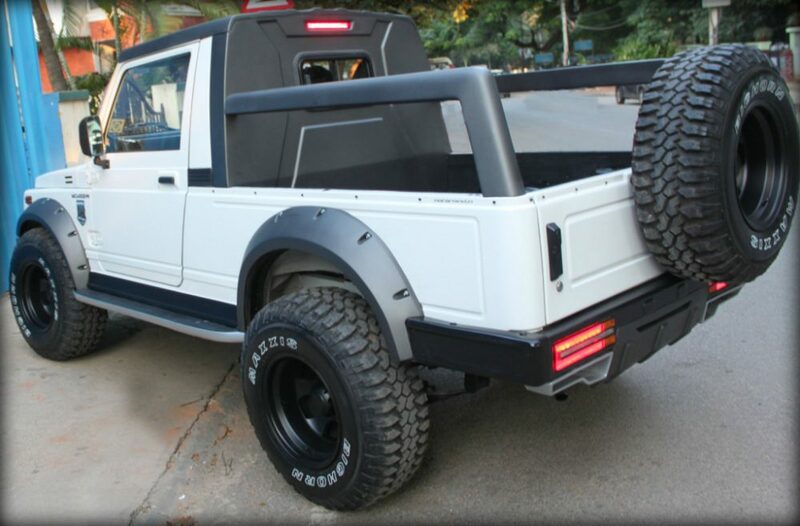 The traditional image of Maruti Gypsy was shattered at once when Motormind displayed this perfectly groomed car for the fans. 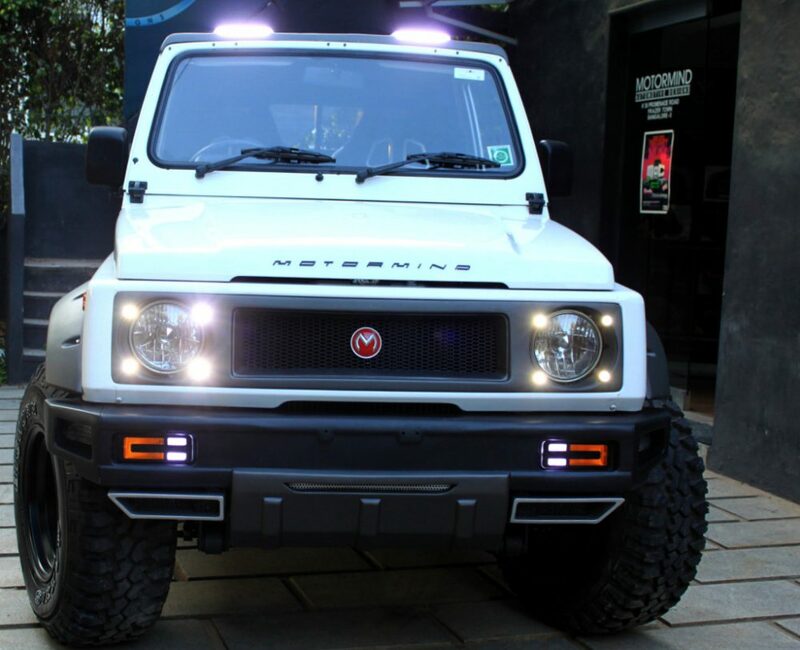 Starting with the front fascia, the Gypsy Shudder seen here is available with a custom front grill that adds four daytime running lights around each circular headlight. 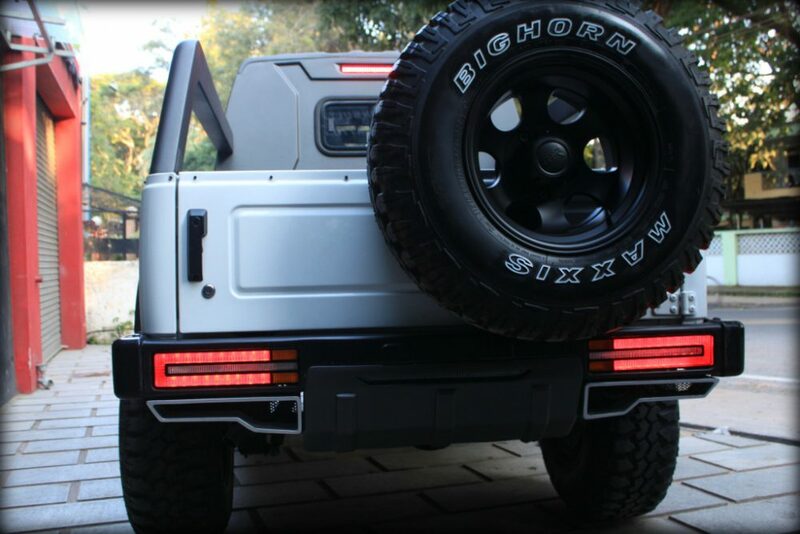 The bumper used here is thinner than the stock version, housing LED turn indicators instead of the basic option. 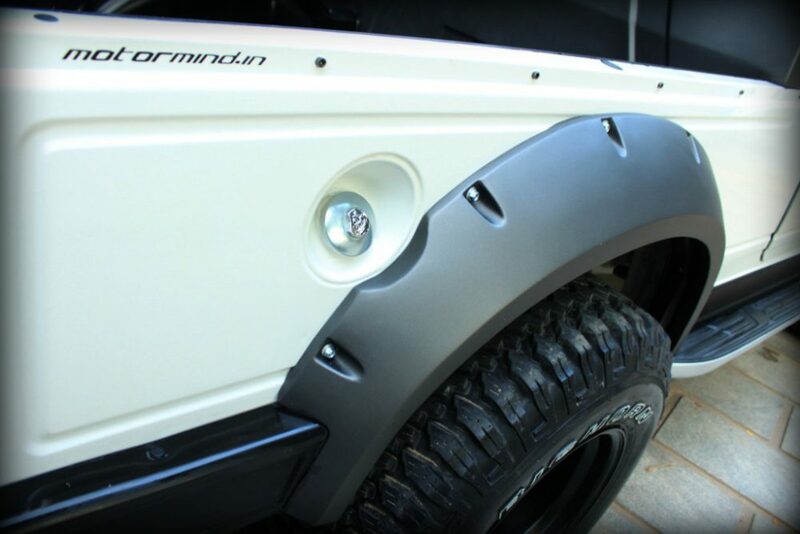 The sides of this bumper carry decent styling bits while the addition of a bash plate adds muscle to the front profile. The car came with a thin covering on the soft-top variant, which was purposely removed for the tight fitting canopy with small glass area. The same part is extended to create two design-enhancing pillars around the deck. 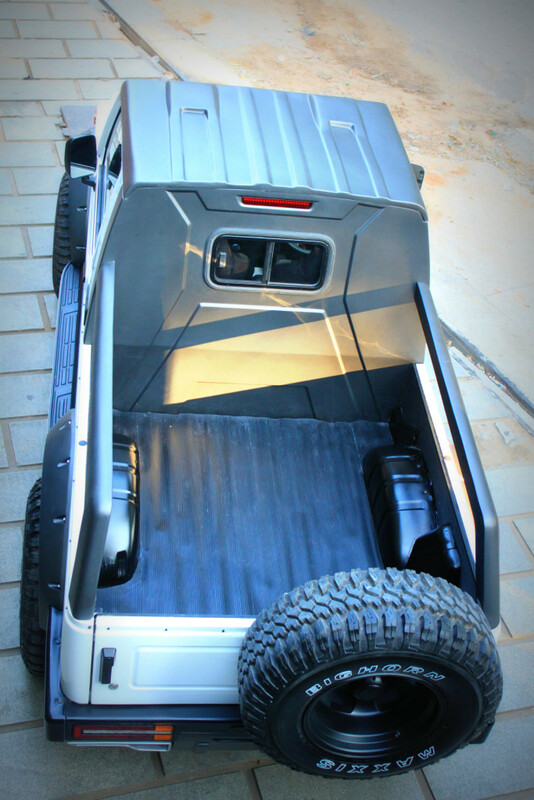 The loading bed is left clean to announce this typical Gypsy as a two-seater. 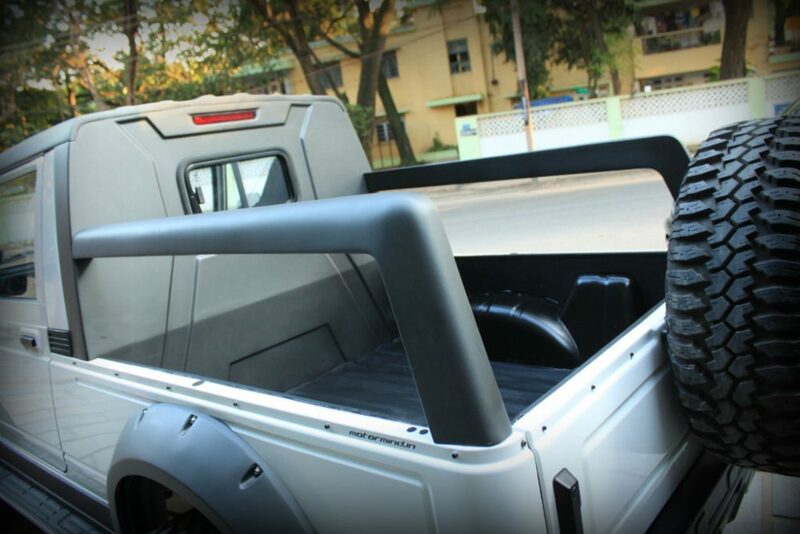 The side profile now comes with extended wheel arches and silver footstep while the rear gets LED brake light and indicators like the front section. The bash plate on the rear side balances the profile while huge spare tire mounted on the boot door looks equally impressive. The stock rims made way for these black off-road rims while Maxxis Bighorn tyres improve the off-road ability of the petrol 4×4 car. The high sidewall of the tyres and other additions result in better than stock ground clearance for the car. 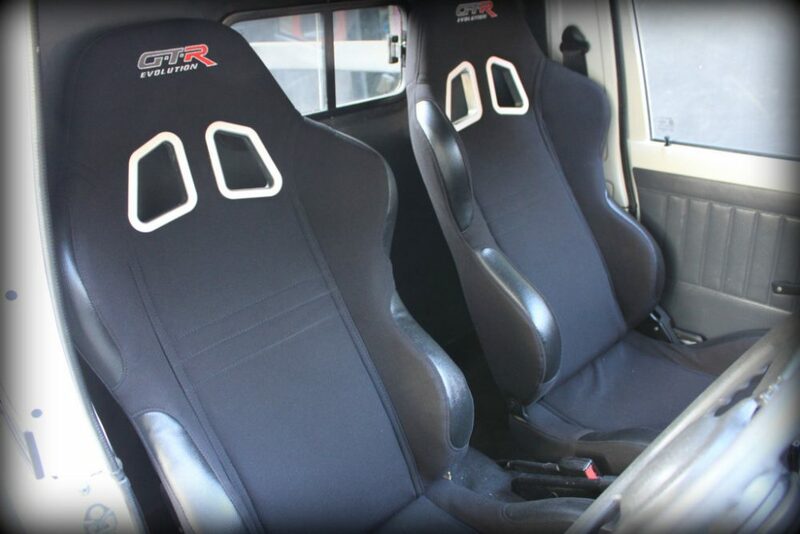 The inner area now features sport bucket seats but seat-belts remain stock on the modified Gypsy Shudder. The roof also features two LED lights above all the components. The 1298cc, four-cylinder engine under the hood is good for 103 Nm of torque. The gearbox with low and high transfer ratio helps Gypsy owners enjoy the most impressive ride one can get in this segment. 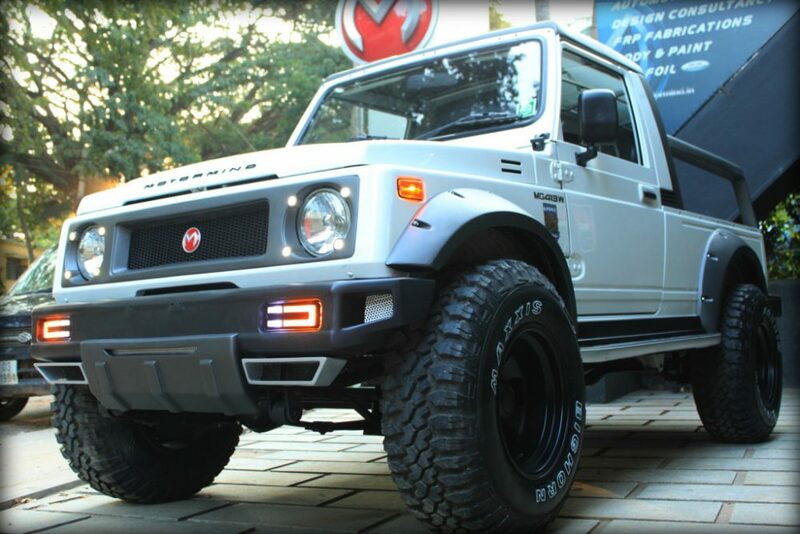 The price for the stock model of Gypsy stays at INR 6.25 lakh (ex-showroom Delhi).